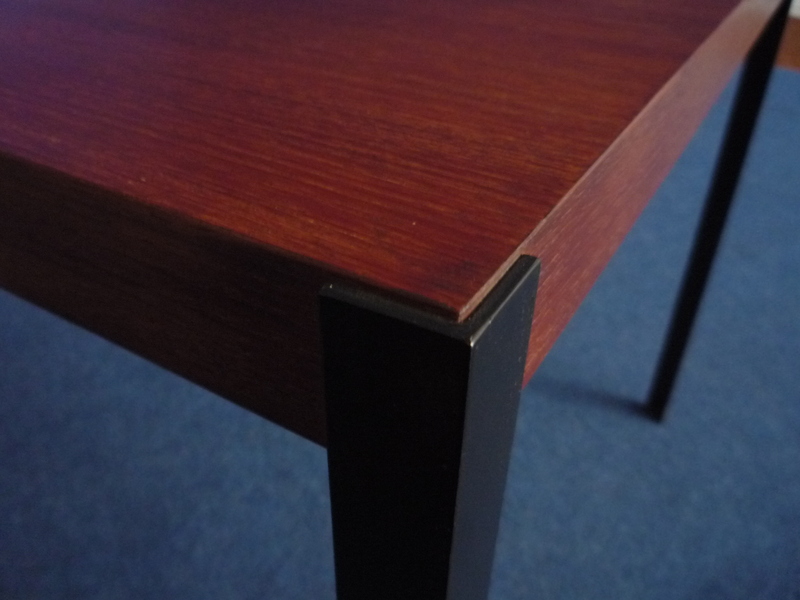 Rare couch table by Herbert Hirche. 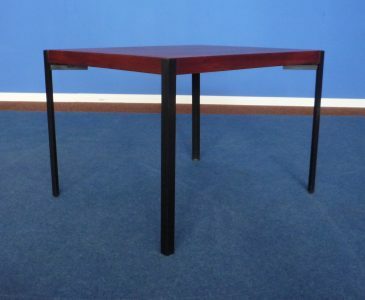 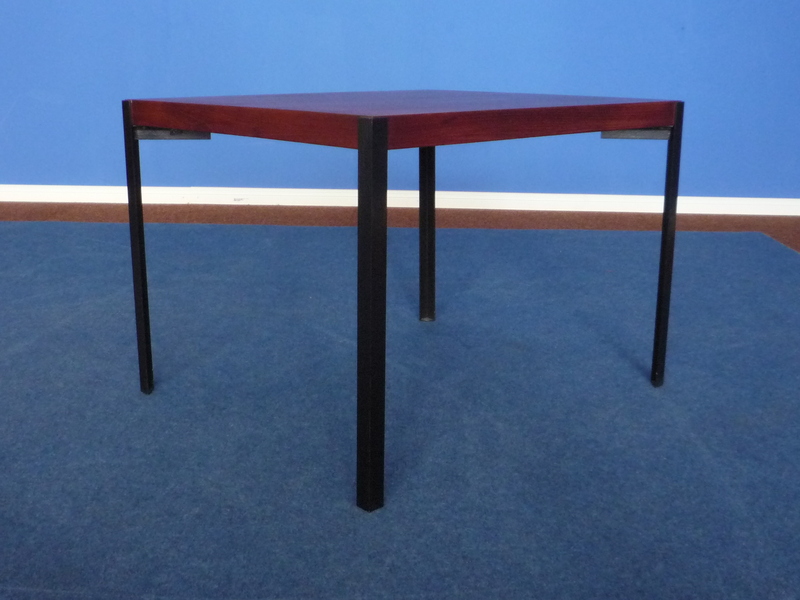 Table top made of solid wood and veneered in dark teak. 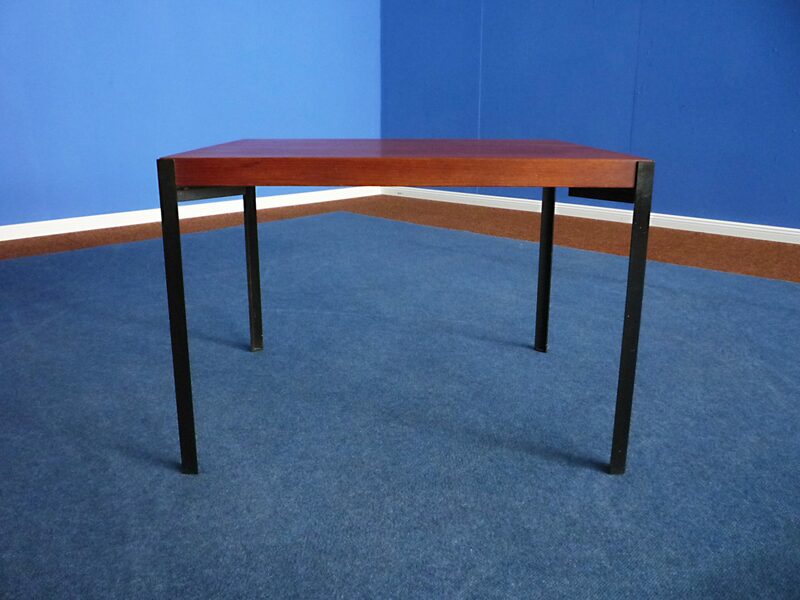 Table frame metal and black lacquered. 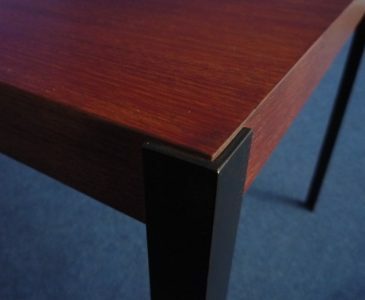 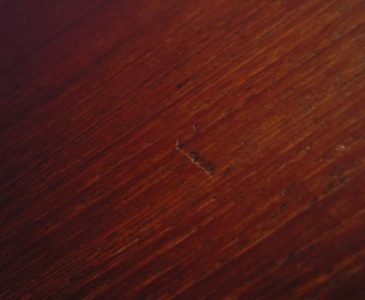 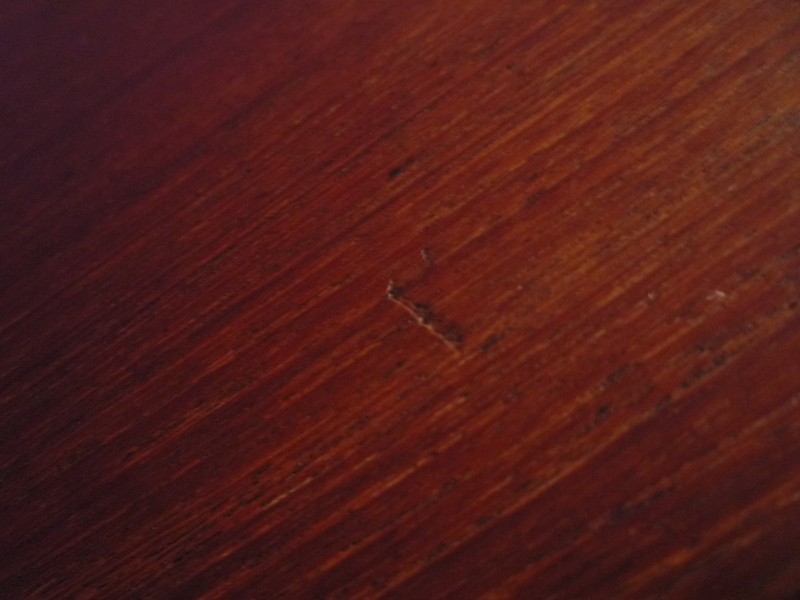 The teak veneer looks very good and shows only 1 catcher (see pictures). 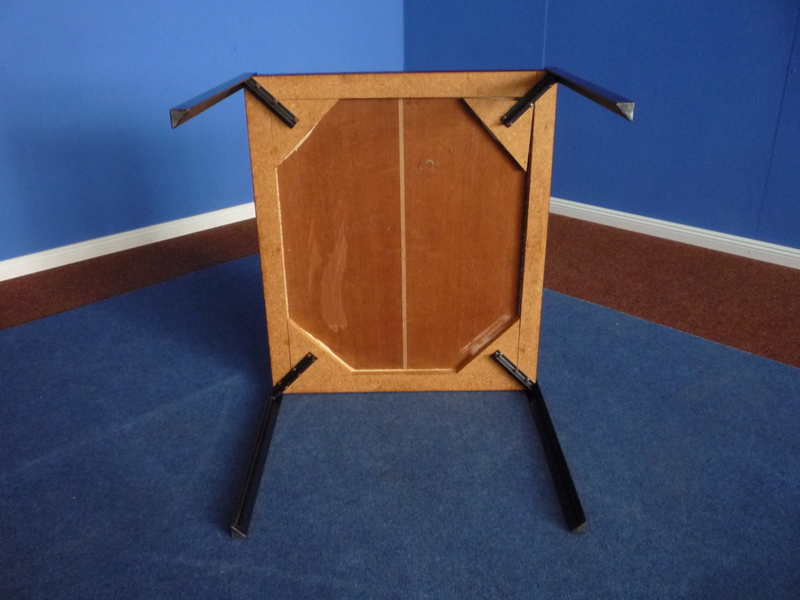 The metal frame looks good with minimal traces of use. 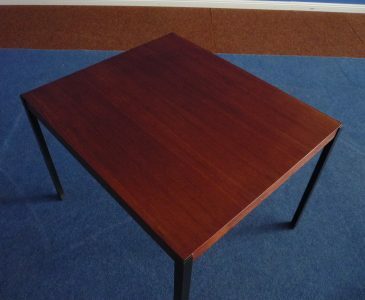 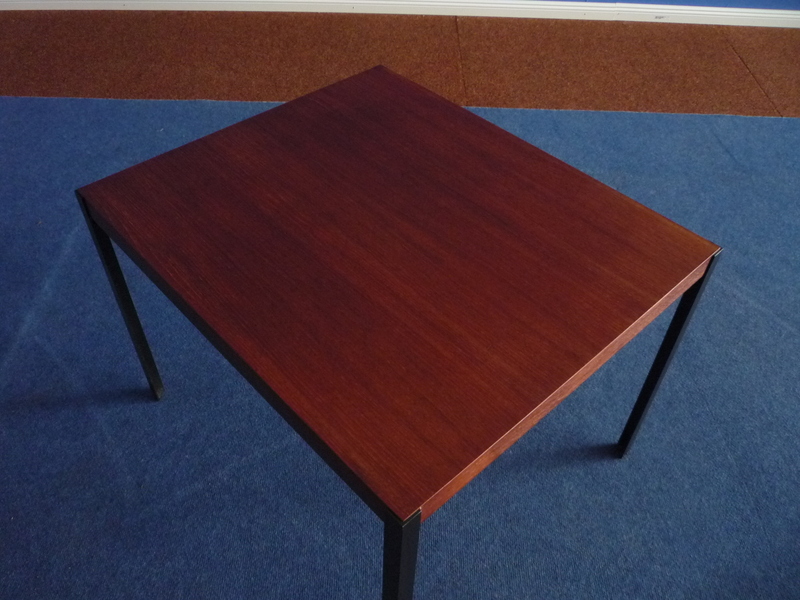 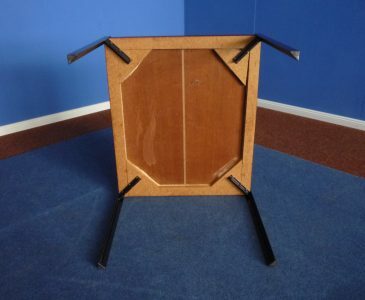 The table is very stable, clean and ready for use.